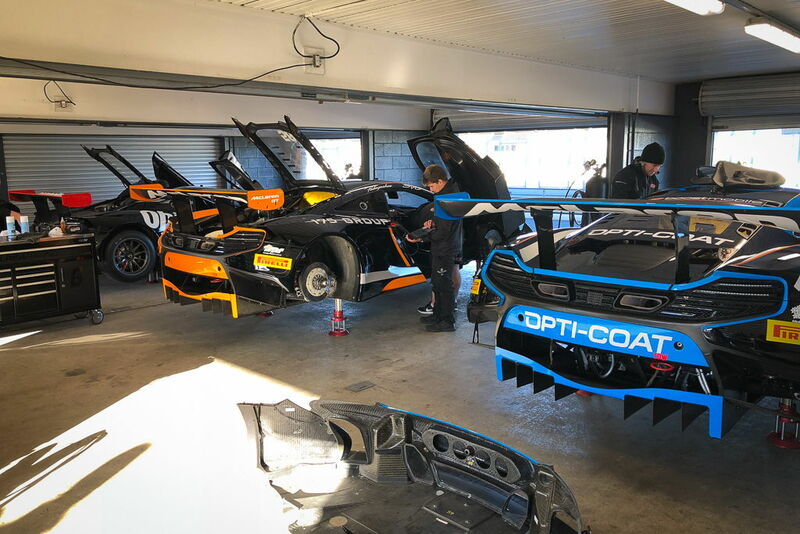 Since the last Porsche GT3 Cup Challenge and Australian GT championship round at Sandown only three weeks earlier, the awesome MR crew have been very busy preparing the cars for this weekend. 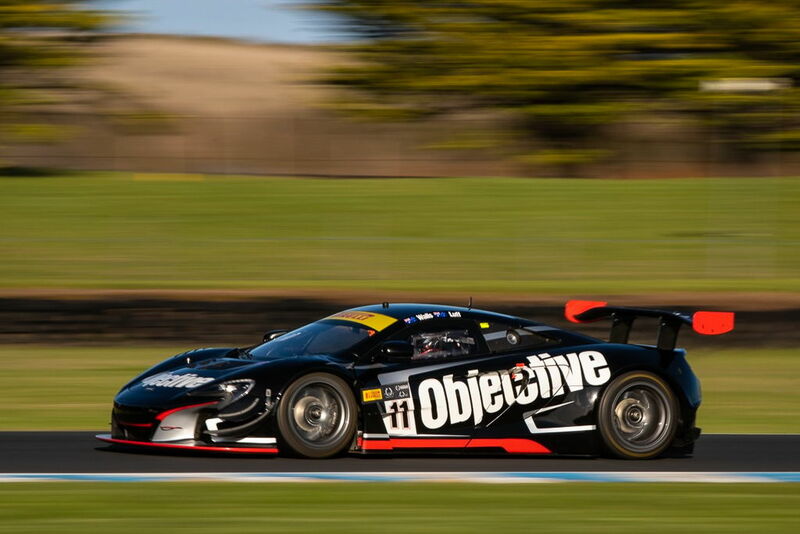 We were running Tony Walls and Luffy in 'Bruce' the Objective McLaren while Jaxon joined Fraser in car 59 and Duvashen took over car 58 with Shane Van Gisbergen as his co-driver. 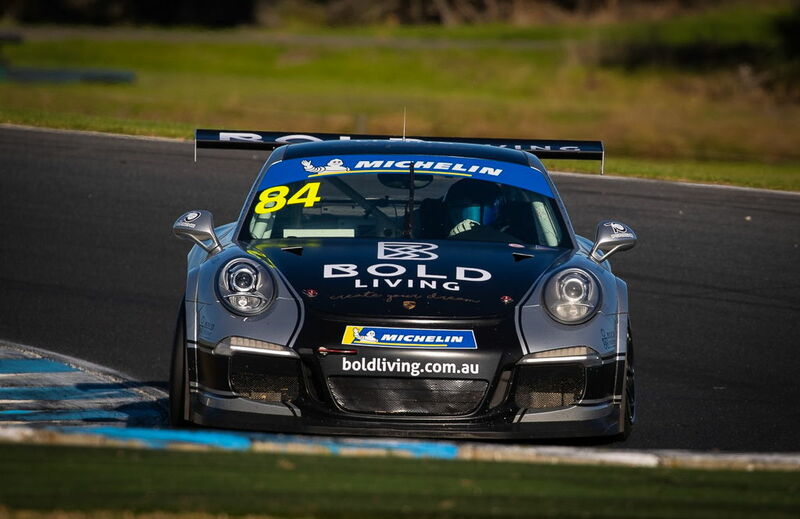 In the GT3 Cup Challenge, Jimmy Vernon was ready to get stuck into the top 3 while Brett Boulton and Michael Hovey were keen to consolidate their top 3 championship positions. 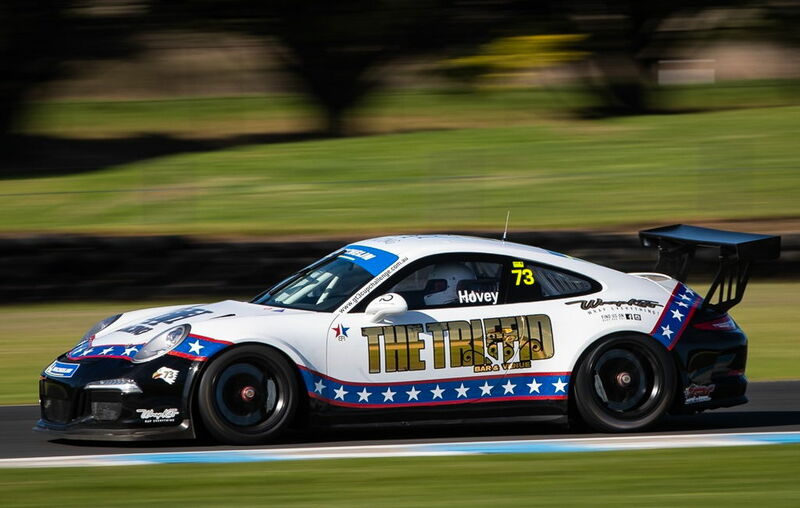 Jimmy qualified 4th which was a great improvement and proof that he is quickly getting on top of the driving style required for the Porsche. 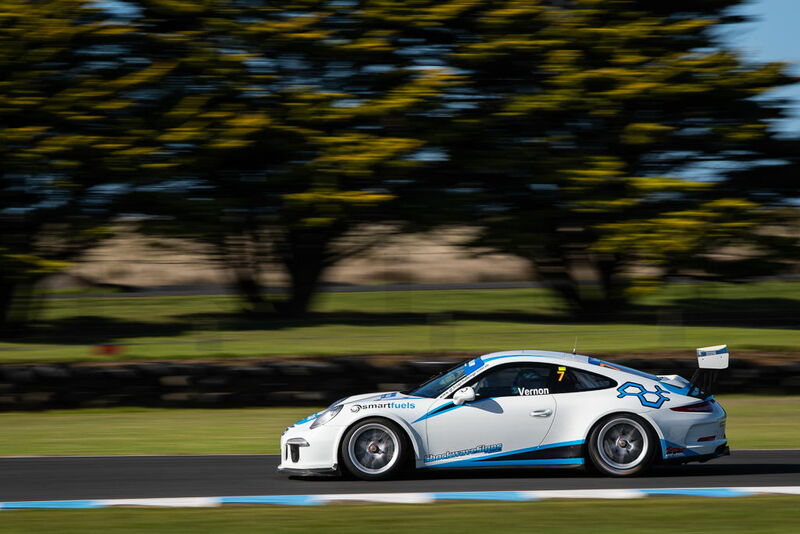 He got a good start in race 1 but was hit in the rear wheel by another ambitious young Pro driver. This sent Jimmy off the road and dislodged the front splitter giving him understeer for the rest of the race. He did a great job to work his way back to 4th in Pro. In race 2 he had a good start but was delayed by a stalled car, but he drove like a demon through the pack to capture his first top 3 finish. 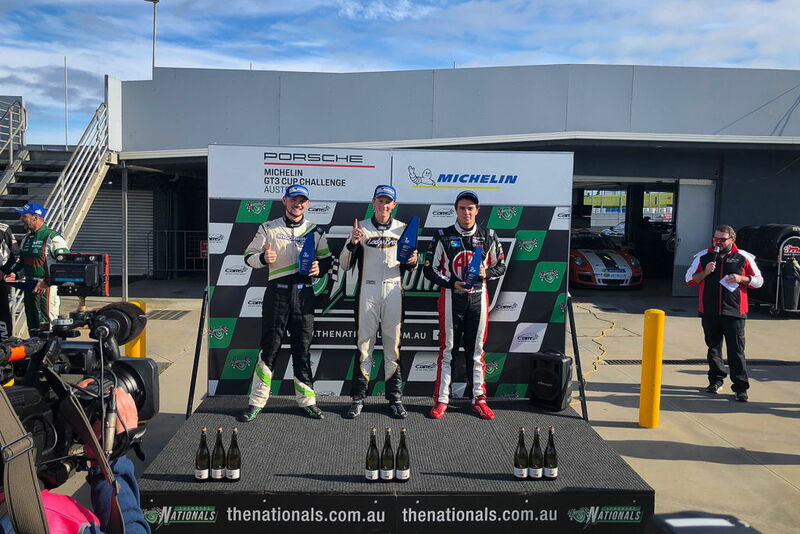 In race 3 he got a decent start and drove a well-measured race to fulfil his burning desire to get his first GT3CC podium. There will be plenty more to come. 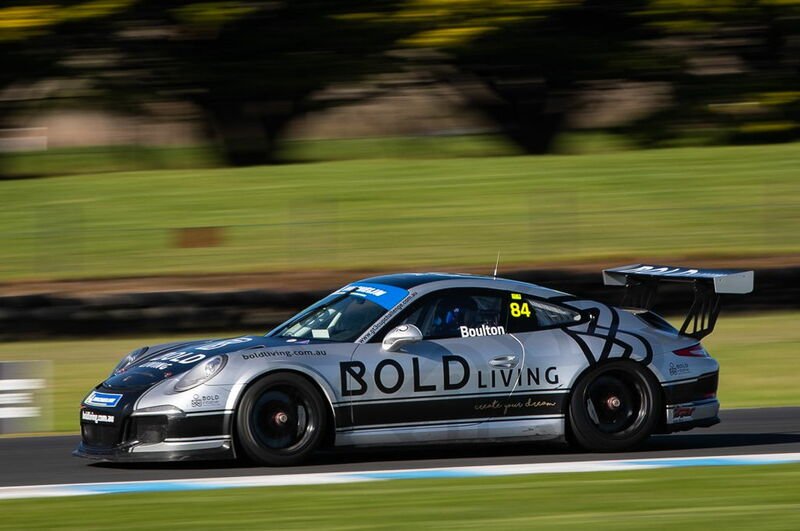 Brett qualified 3rd in Pro-Am after being pipped for 2nd in the last minute of qualifying. 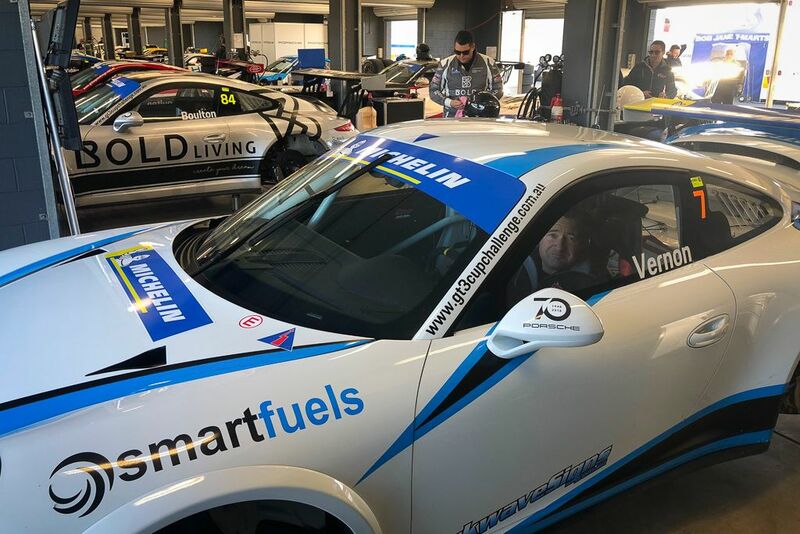 In race 1 he had a great first lap to lead the Pro-Am class which he held for a few laps until he made a minor mistake, running wide at turn 3. He recovered from the rear of the field to finish a frustrated 14th. 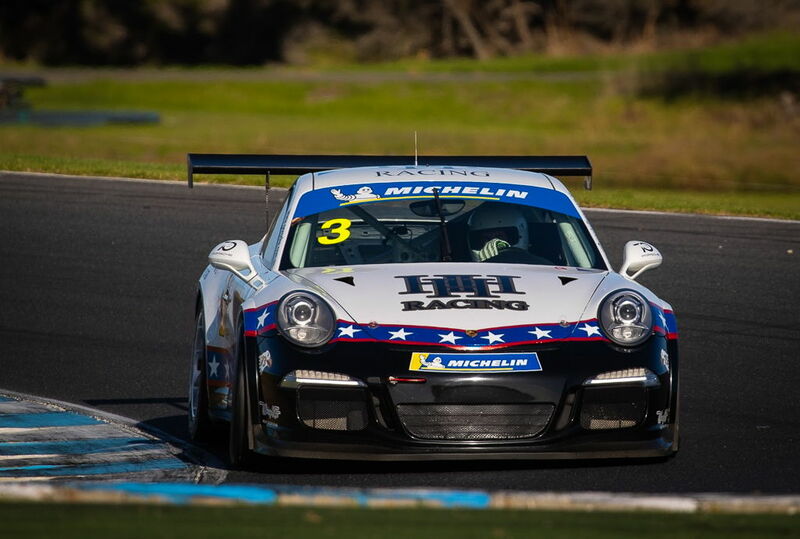 In race 2 Brett made a good start and despite heavy understeer from a damaged front splitter, he did an excellent job to push through the field to finish 4th in Pro-Am. In race 3 he managed to start the race in neutral, so didn’t get the best of starts! He was obviously a touch annoyed and put on the drive of the race forcing his way past 15 cars to finish 10th outright and 4th in Pro-Am. Michael qualified 7th in Pro-Am after Luffy almost lost his voice whipping him over the radio! He did another of his renowned burnouts at the start of race 1 and dropped a couple of spots on the run to turn 1. He had a very eventful race right amongst a battle pack of 6 cars doing a good job to make his way back up to 15th on the road from the 25 cars field. In race 2 Hoves was the victim of a stalled car ahead and had to take to the grass to avoid contact. He recovered well and enjoyed passing his good mate Tony Martin on his way to 10th. In race 3 he was starting from grid 17, so was on a mission to pass at least five cars which is exactly what he did! After combining the best time from each driver, the boys qualified 6th in the 21 car field. Fraser started and drove very well until pitting for fuel and tyres around 36 laps. 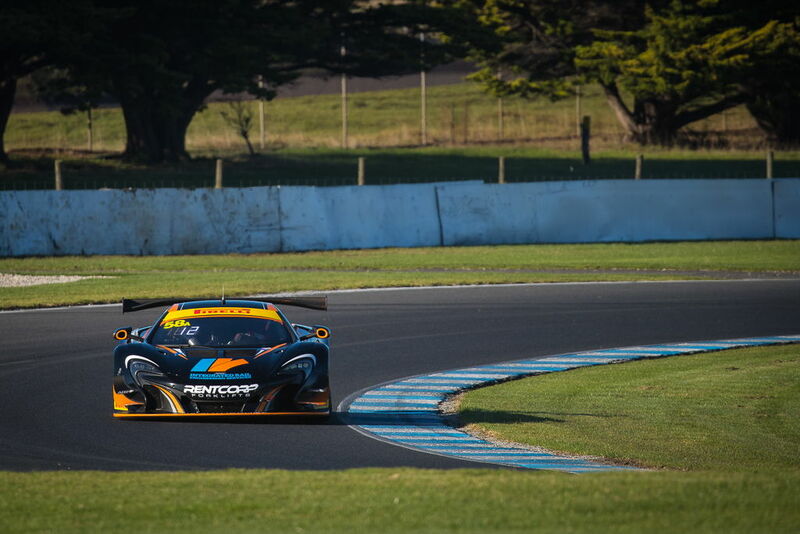 He continued running in the top 5 until a big accident for a GT4 car caused a red flag period. After the race restarted, he pitted to change over to Jaxon who did a lap before another red flag race stoppage and a 45-minute wait to repair the tyre wall. After the second restart Jaxon found himself 5th in a frantic 8 car battle for the lead of the race. 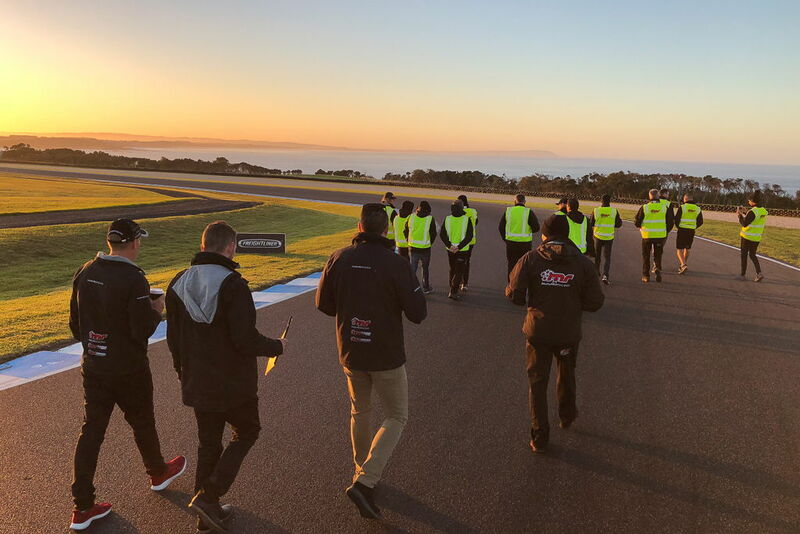 He fended off Baird in the Merc but had a huge slide in the 220kph turn 1 which gave Garth Tander an opportunity to sneak by with a few laps remaining. 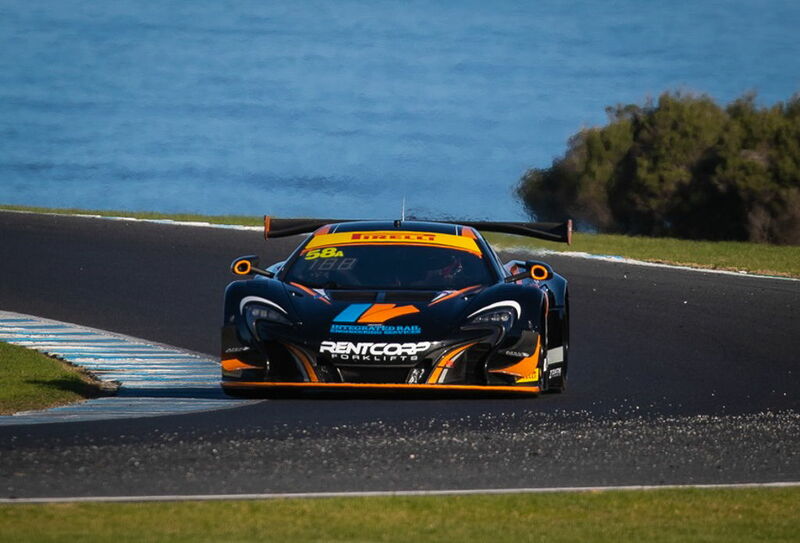 Tony and Luffy qualified 'Bruce' the Objective McLaren in 12th after both of their times were combined. Wallsy started and ran through to lap 38 before pitting for fuel and tyres. 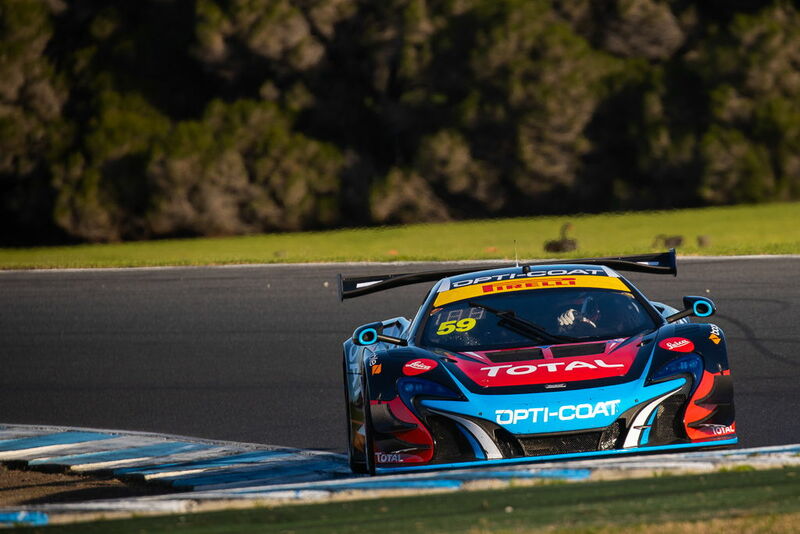 He stayed in the car after the first red flag period and was due to pit again to swap over to Luffy but due to the AGT 'buddy' pitstop system wasn't able to pit at the same time as Fraser. After the second red flag period restarted he pitted again to hand over to Luffy. He did his usual professional effort to catch the back of the 8 car squabble and made it a 10 car battle. Unfortunately 'Bruce' didn't quite have the pace to push any further forward and they settled for a hard fought 10th. After a challenging practice, Duvashen and SVG were looking forward to getting amongst it in qualifying. Unfortunately, a brand new engine flown out from McLaren in England the week prior, broke an oil pump component as we were warming up the engine for qualifying so they had to start the race from the rear of the grid. Duvashen started the race and we pitted him early to get clear air which worked nicely. 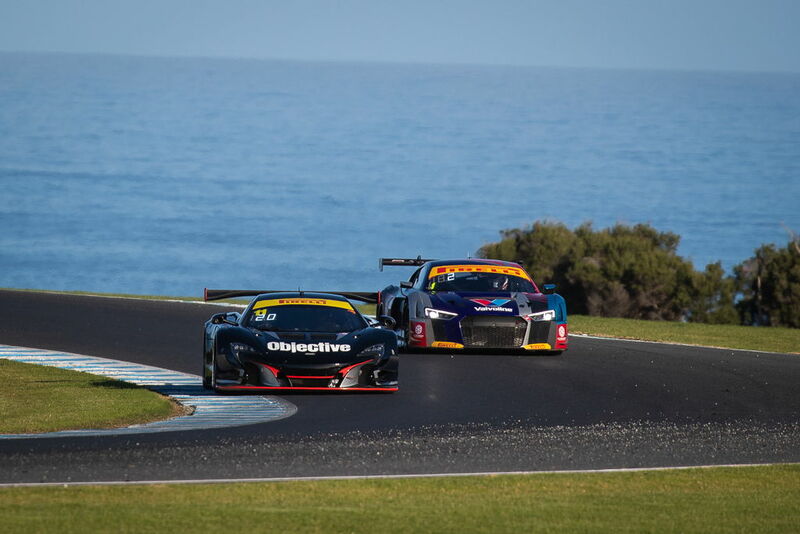 He did a ripper job to drive from the rear of the field up into the top 10. Unfortunately after contact with another car, quite extraordinarily, the steering wheel broke forcing an unplanned pit stop dropping us a couple of laps off the leaders. 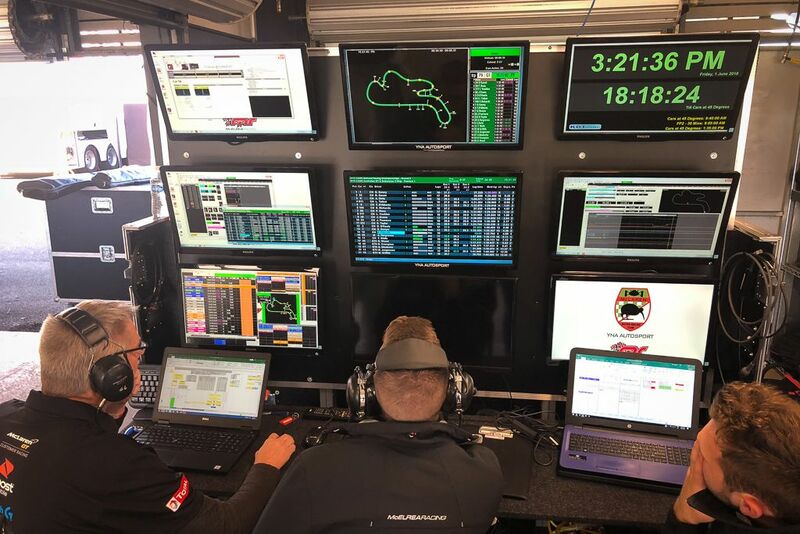 Due to the 55% rule where one driver can only do a maximum of 55% of the race distance, we were ready to pit Duvashen to swap over to SVG when the second red flag flew. After the restart SVG took over the controls and brought #58 home. In GT3CC we are rapt for Jimmy to secure his first podium finish, which is a testament to his determination and evidence that he is getting on top of these very demanding race cars. Brett and Hoves had plenty of laughs as usual and both deserved better results if not for some factors outside of their control. 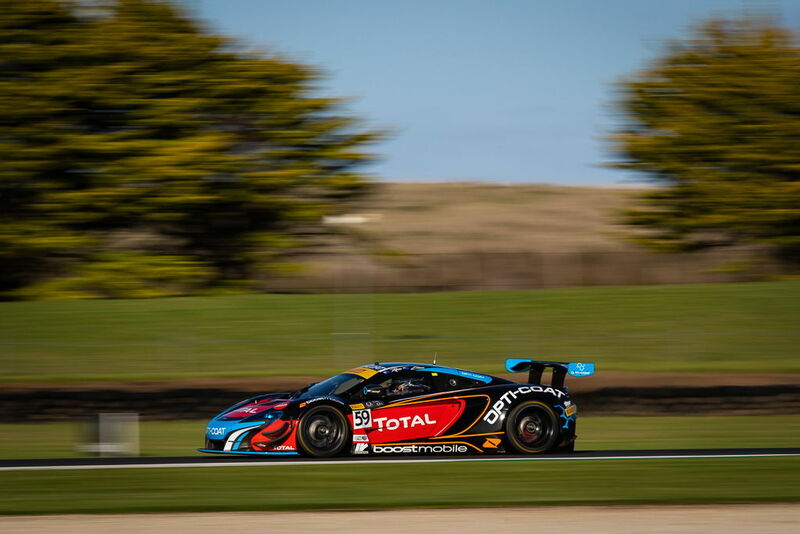 In the Australian GT championship, our customers are still paying the price for the change in ownership and general politics within McLaren GT in the UK, who have not been focused on the development of the 650S over the last couple of years with random failures and a lack of technical support. It is disappointing that such a great racing 'brand' is being represented so poorly.